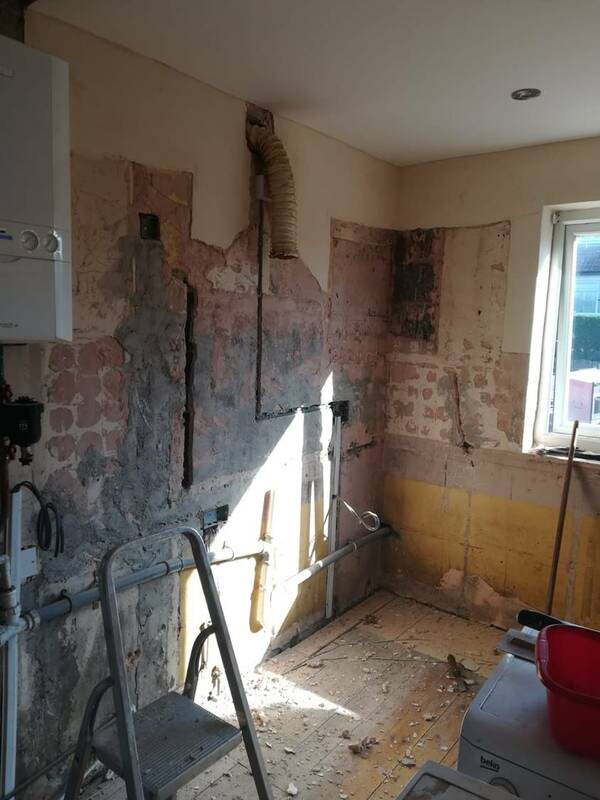 When Mr and Mrs Mitchell wanted a total redesign on their kitchen dining area, they turned to Kitchens By Design to help them with their project and were not dissapointed! In wanting to keep with the overall style of the house, but at the same time inject their own personal tastes, Jamie our Kitchen Sales Manager was keen to help them design the kitchen of their dreams. The two sections of storage and functionality were immediately incorporated into the design and within a few hours it was brought to life for them to see. The kitchen was to feature a small peninsula for two people whilst at the same time providing a healthy amount of storage. Mr and Mrs Mitchell were looking for a grey toned kitchen and after walking around the showroom with Jamie settled on Image Gloss Kashmir with a stylish chrome and black handle to compliment their choice of flooring. They needed the kitchen to be a place of social entertainment, but at the same time serve as an functional cooking area. The new Bosch Double Oven, 5 Burner Gas Hob and Elica Extractor made all of their cooking needs that much easier and also lended themselves to the overall design of the kitchen with their subtle black details. 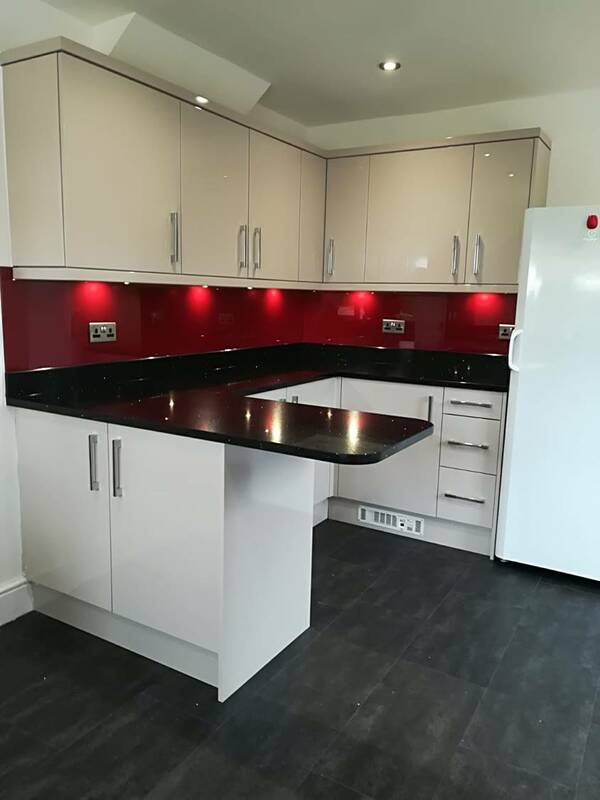 Once the Gloss Grey Cupboards were built up and the Nero Starchase Worktop was placed on Mr and Mrs Mitchell wanted to give it that extra wow factor and chose to have a Gloss Red Splashback around the kitchen to match their newly bought countertop appliances.